Natural disasters such as the cyclone in Myanmar can put children at risk for abuse and exploitation, a human trafficking expert said Monday. Eva Biaudet, of the Organization for Security and Cooperation in Europe, said she had no specific information about the situation of children in Myanmar, but noted that similar disasters, as well as conflicts, have put minors at risk of being taken advantage of and abused. "When there are these kind of catastrophes — when the state fails, when there are no systems — children are extremely at risk for not only of course being just abandoned ... but also for abuse and exploitation," Biaudet told reporters on the sidelines of a two-day OSCE human trafficking conference that began Monday. "It is a very good place for traffickers to be when the state sort of fails," Biaudet said, adding that children in conflict zones were also at the risk of falling prey to such criminals. 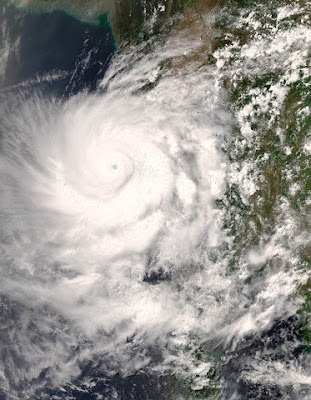 Last week, UNICEF said it believed the number of children left without guardians in Myanmar because of the cyclone is more than 600 and could rise.